What’s the difference between market segmentation and cluster analysis? Market segmentation and cluster analysis: What’s the difference? There is a reasonable difference between the market segmentation process and the clustering of data, although these terms are often used on an interchangeable basis. 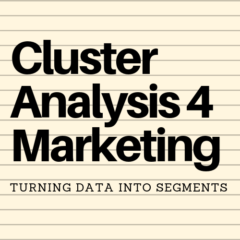 Essentially, cluster analysis is a statistical tool that assists marketers to group data based on similarities and statistical connections. 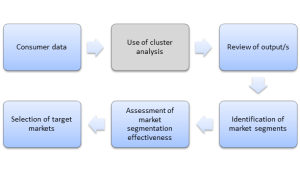 As a tool, cluster analysis is extremely helpful in guiding the development of suitable market segments, as well as providing useful statistical measures of these potential target markets. However, effective market segmentation is the desired outcome for the marketer. Simply grouping data together may or may not deliver effective market segments. Please refer to the Segmentation Study Guide website for more information, as well as the criteria for effective market segments. A good way of thinking about cluster analysis as a tool that assists in the development of market segments is to think about how you may use an Excel spreadsheet in your studies or work environment. Excel is a tool that allows you to perform various calculations and collate and analyze data. Excel won’t necessarily find the answers itself; the skill of analysis comes from interpreting and utilizing the information provided. The same concept applies to cluster analysis. A marketer needs to know what outputs are suitable, as well as having a good understanding of what an effective market segment is and whether or not the firm/brand is in a position to utilize it as a potential target market. 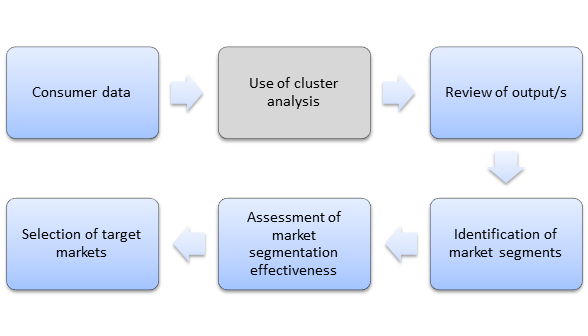 Therefore, as shown in the diagram, cluster analysis is a stepping stone that enables a marketer to have a stronger understanding of the consumer data and potentially form powerful market segments.